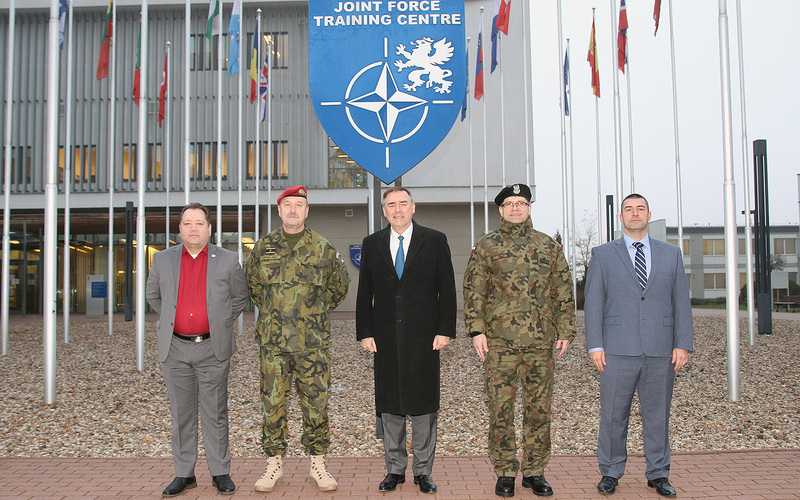 Mr. Kevin Scheid, General Manager of the NATO Communications and Information Agency, visited the Joint Force Training Centre. 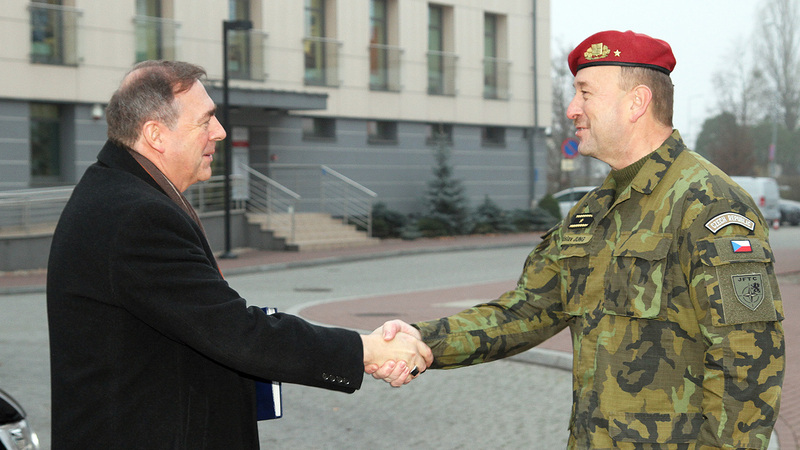 He met with Brigadier General Ladislav Jung, the Centre’s Deputy Commander and Chief of Staff, and his key personnel on 28 November. 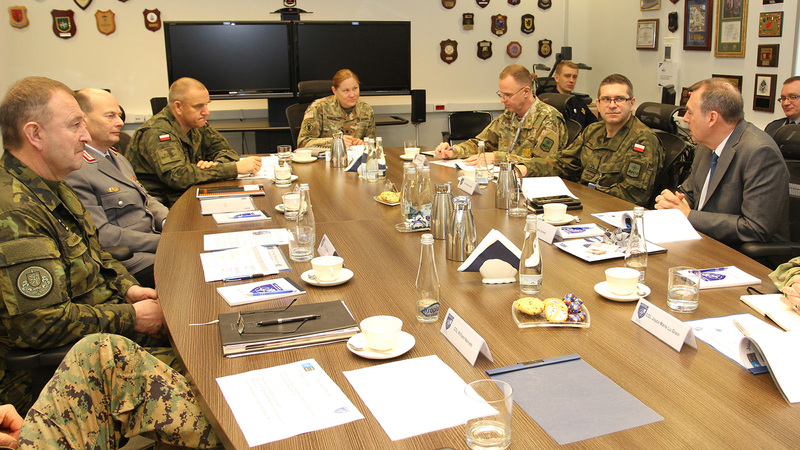 The General Manager arrived in Bydgoszcz to meet with his subordinate personnel – members of the Agency’s local detachment, CIS* Support Unit Bydgoszcz. The services provided by the NATO Communications and Information Agency are of key importance to the success of the Joint Force Training Centre. The increasing activities of the Centre demand more day-to-day cooperation between the two institutions. The Centre highlighted its appreciation for the Agency during the visit. General Jung, supported by his staff, highlighted that NATO training centres have a very unique mission. “Our requirements cannot be compared to those of standing operational headquarters” – he stressed. This is true now more than ever before. The training events and audience continue to grow and so does its demand for modern technology. What is even more challenging is that the situation in both training and innovation is very dynamic and various requirements emerge demanding flexibility in planning, budgeting and direct support provided by the Agency to the Centre. 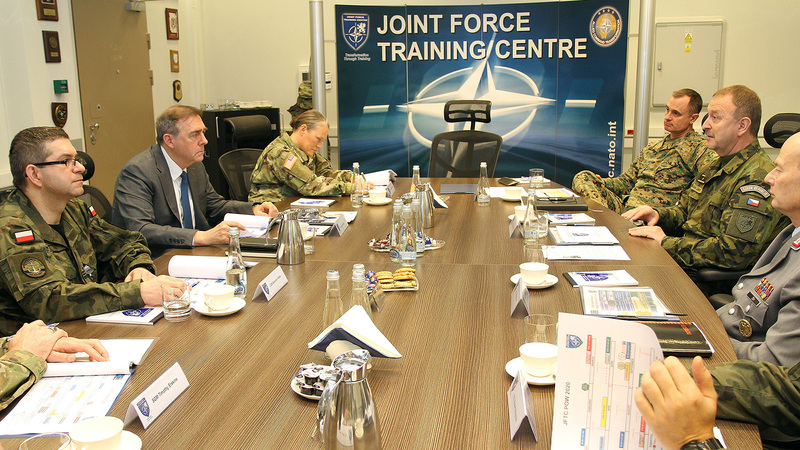 The General Manager expressed his understanding for the unique needs of the Joint Force Training Centre. 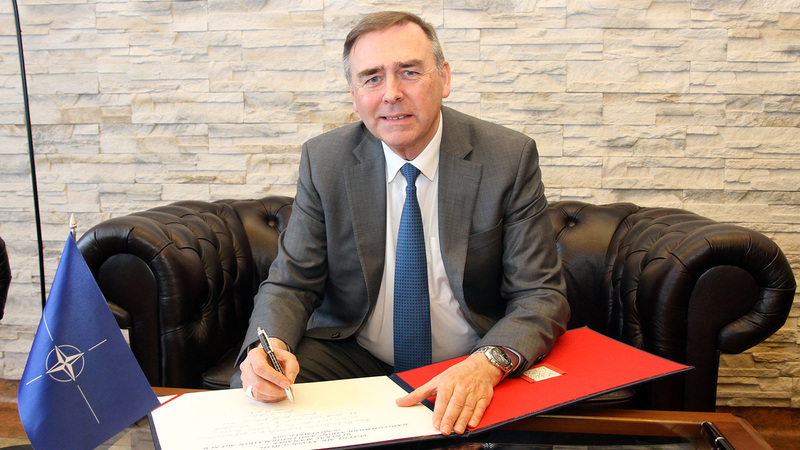 He also assured that the NATO Communications and Information Agency would continue to be the Centre’s steadfast partner and would work intensively on improving the Centre’s infrastructure and IT tools. Mr. Scheid visited the Joint Force Training Centre during the CITADEL BONUS 2018 exercise, which allowed him to observe the Centre working at full speed. He also had a chance to talk to the exercise management as well as the Agency’s CIS Support Unit Bydgoszcz's representatives. All these gave him a broad overview of the Centre’s current and future requirements in the communications and information systems’ domain. It paves the way to further the Centre’s and the Agency’s common efforts aiming at the success of the allied training and innovation.